Who Will Benefit from Speech Therapy? Home > Speech Therapy > Who Will Benefit from Speech Therapy? Over 2.5 million people across the United Kingdom have speech or language difficulties and almost all of them would likely benefit from attending speech therapy sessions. These sessions are tailored to the speech difficulty or disorder that affects each individual client, and use therapeutic activities to help him or her learn to identify, cope with, and overcome their particular barriers to effective verbal, and often also written, communication. Speech and language therapists and speech pathologists are usually the leaders of speech therapy sessions. Individuals who have difficulty speaking, listening, reading and/or writing may all benefit from speech therapy. 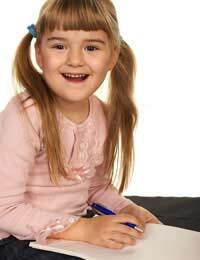 Very often the individuals attending speech therapy are children, as this is when delays or difficulties in language skills first become apparent. Whether or not a speech disorder is clinically diagnosed, those who simply have trouble with speech and language will also be supported during speech therapy sessions. Those who stammer, stutter or clutter when they are speaking. Individuals who have physical impairments such as a cleft lip or cleft palate (or slight impairments left after surgery for these conditions), individuals who suffer from learning disabilities, individuals with impaired hearing and individuals who have already been diagnosed as dyslexic, autistic or dyspraxia may also benefit from speech therapy. The type of speech difficulty or disorder that is being treated. If they have not yet been carried out, during the first visits tests may be administered in order to diagnosis the type and/or severity of the individual’s speech or language difficulties. During following sessions a variety of activities may be employed, including sound or word repetitions, rhymes, conversational activities, reading and comprehension activities, puzzles, word or sentence scrambles, and reading aloud. Depending on the age of the client, play time activities and school work may also be the basis of a session. A number of organisations exist to support individuals with speech difficulties and disorders in the United Kingdom. A few of these organisations include the British Stammering Association (www.stammering.org) Speakability (www.speakability.org.uk) and Talking Point (www.talkingpoint.org.uk). When a speech difficulty is noted, further information should be sought on both the difficulty and means of overcoming it. When a speech disorder is diagnosed, the medical professional that makes the diagnosis should be able to offer more information on relevant support organisations, treatment and therapy options.